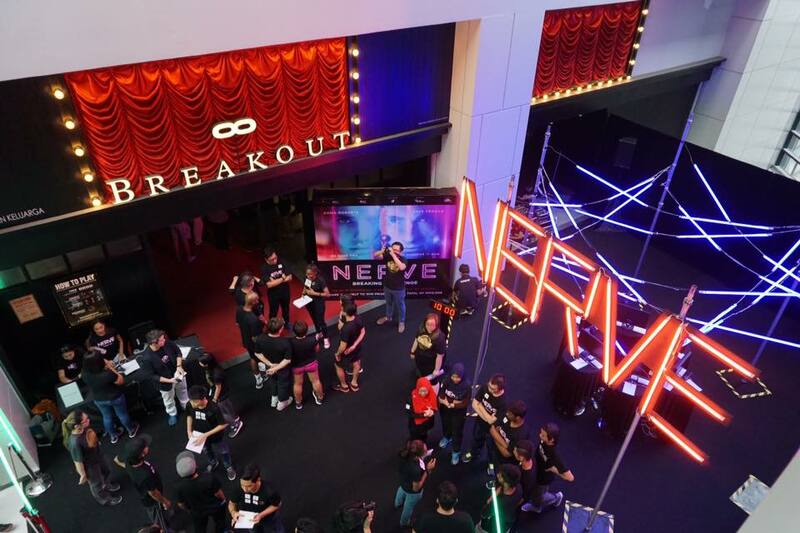 (Kuala Lumpur, Malaysia) 6th Aug 2016, In conjunction with the release of Nerve (opens in cinemas 11 August), TGV Pictures & BREAKOUT Malaysia have organized a Nerve Breaking Challenge for our followers with partners from NU Sentral, Celebrity Fitness Malaysia, TGV Cinemas and AFO Radio. The event was held at Breakout, NU Sentral on 6th August, 2016, (Saturday) at 4.30PM. 40 participants were recruited from TGV Cinemas and AFO Radio. There are 3 stages in the challenge. Stage 1 is the qualifying round, where participants are required to solve the characters matching puzzles around the NU Sentral shopping mall from the clues given. There are only 6 groups of participants with the accurate answers in shortest time are qualified to the 2nd stage, where they will go through a series of code breaking challenge, called the “Watcher” and “Player”. 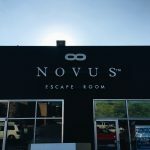 The Players were assigned into one room to solve the code and send the correct answer to the Watchers outside through CCTV to unlock themselves. Once they have unlocked themselves, they will continue to the 3rd stage which is the fitness challenge. Celebrity Fitness instructors were there to guide them to complete a series of physical challenge such as burpees, air squats and Bosu push ups. Fastest group that completes these challenges win! Samsulbahri bin Abdul Rahman and his partner, at the age of 51 the winner of the Nerve Breaking challenge have won themselves cash prize of RM 1,500.00, NERVE limited edition merchandises, NERVE special screening tickets, 3 months Celebrity Fitness Gym membership, TGV Cinemas Air Force Passes, Breakout Free Room passes and more! The remaining 5 groups won themselves a RM100 cash prizes and goodies from Celebrity Fitness and Breakout!